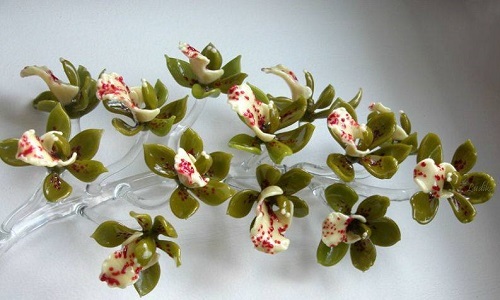 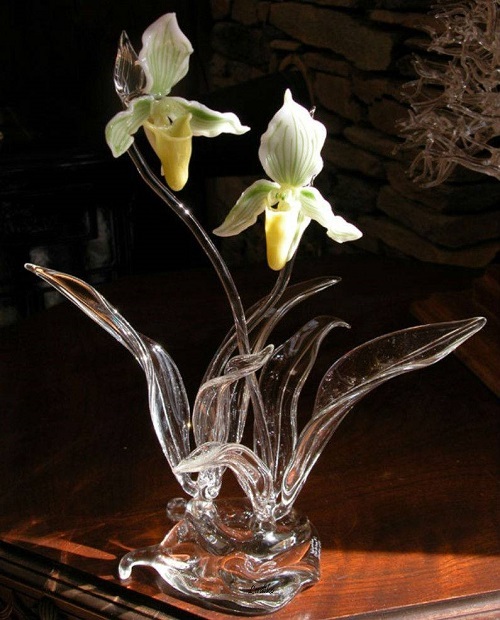 In 1980 Hughes began creating native wildflowers exclusively and continues so to this day. 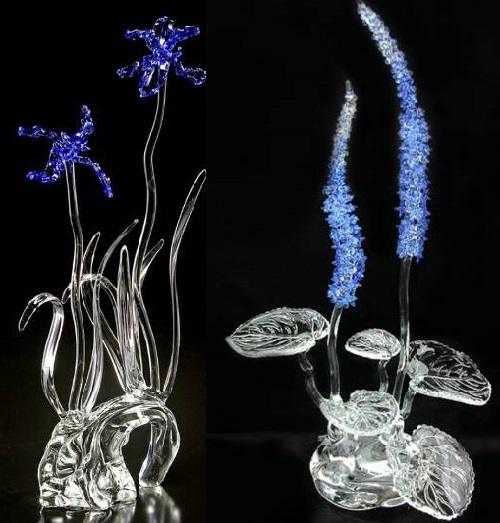 Borosilicate glass is his medium. 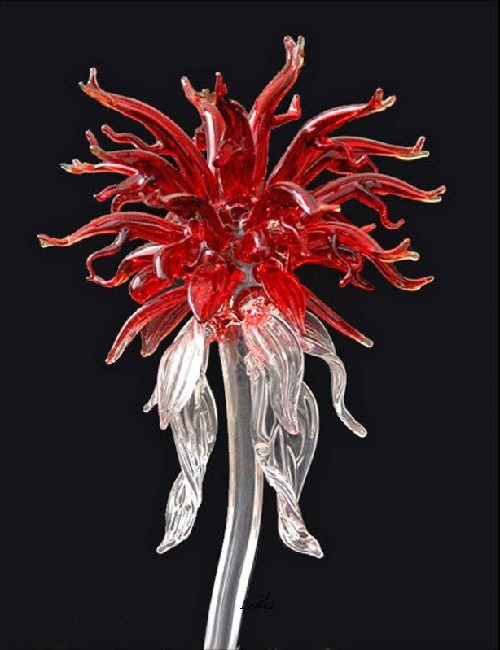 Using propane and oxygen-fed torches, he heats the glass to a molten state (2000-2500 degrees Fahrenheit). 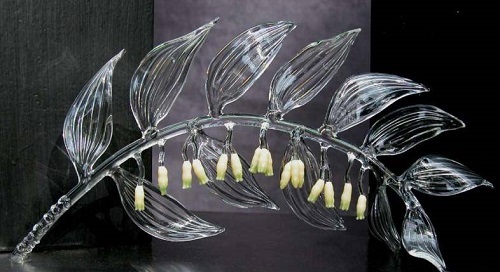 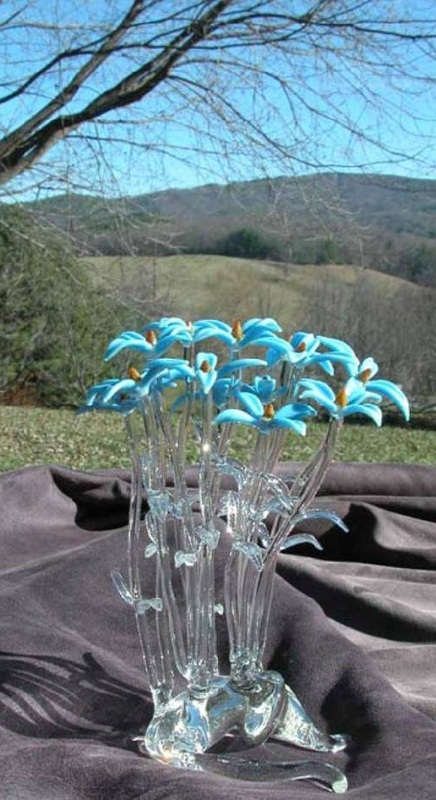 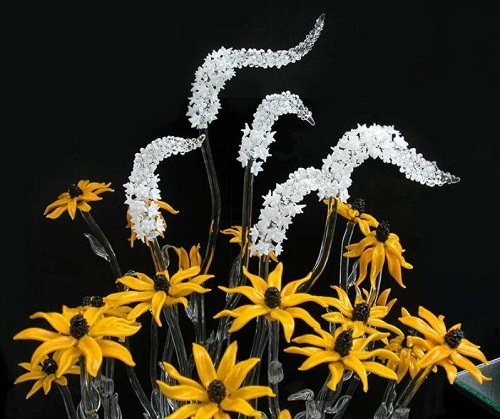 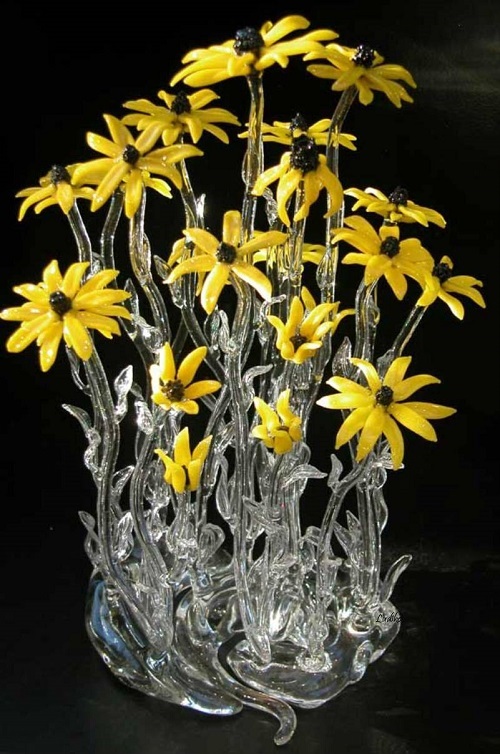 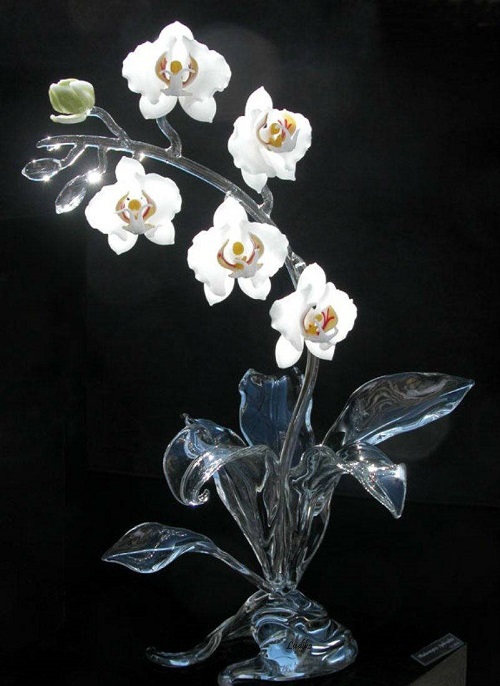 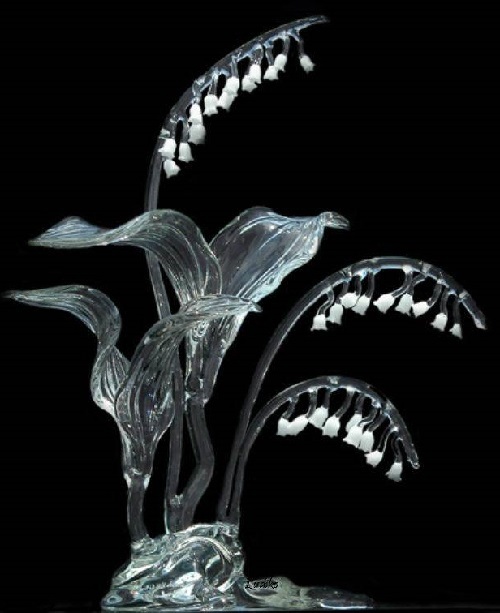 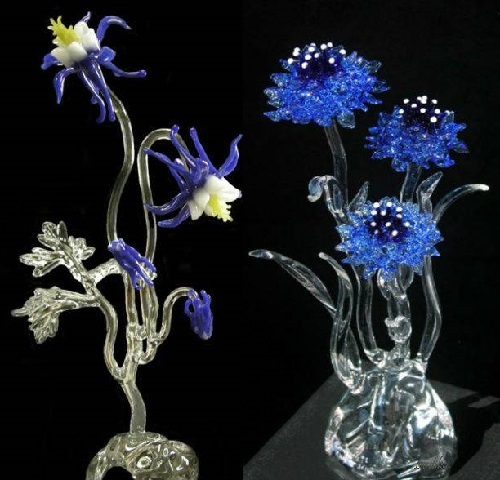 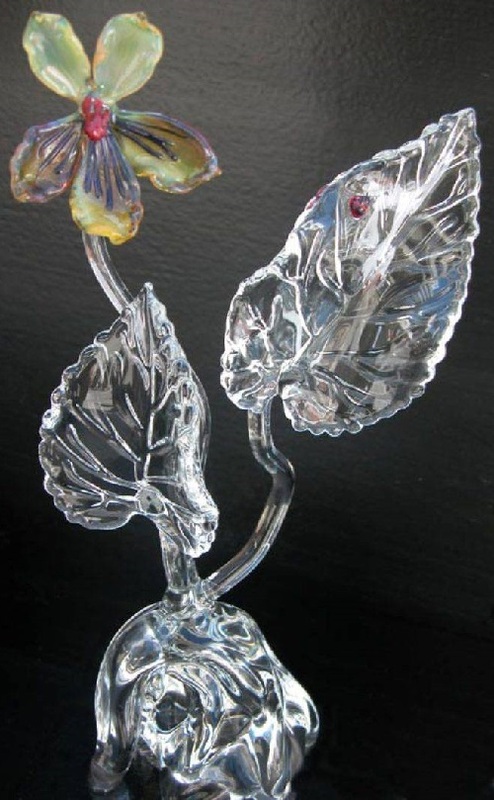 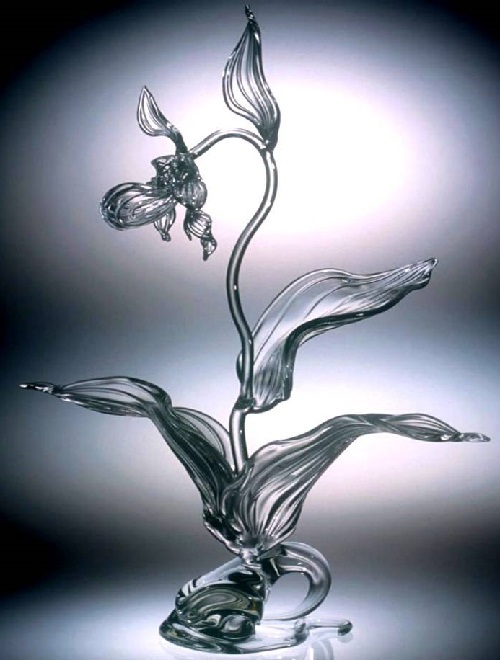 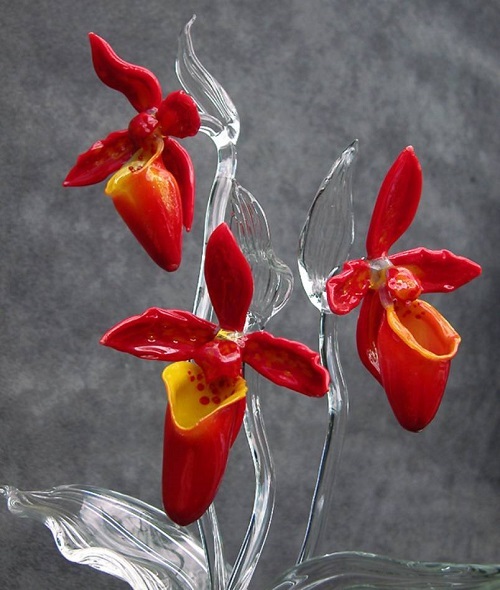 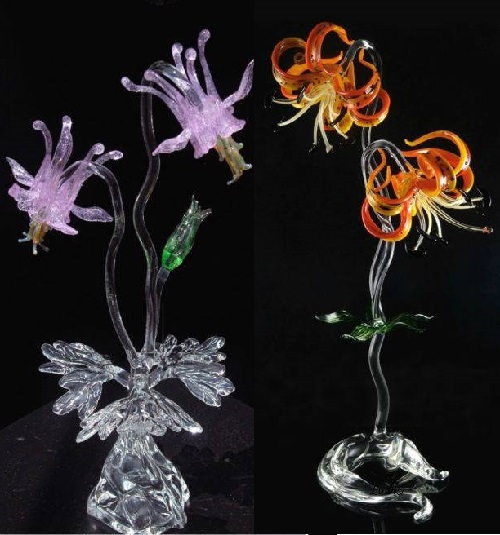 At these temperatures, the glass becomes pliable enough to shape into accurate looking wildflowers. 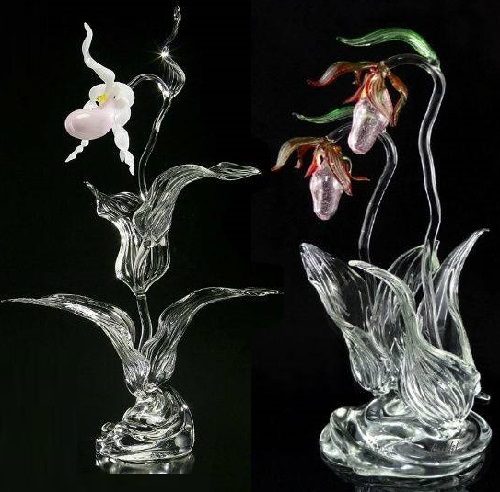 My goal is to create original delicate works of art while maintaining durability at the same time – a difficult balancing act which requires diligence and careful craftsmanship. 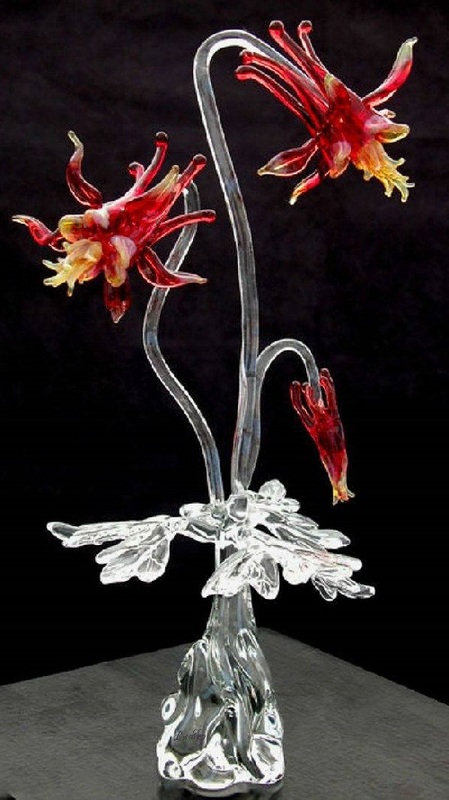 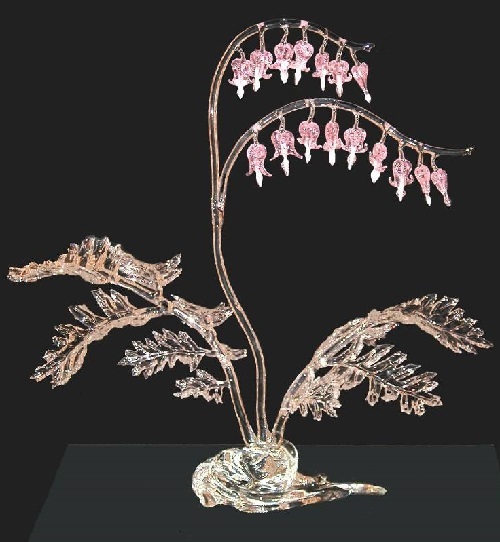 Hughes works by himself, employing traditional flame-working techniques to create his sculptures. 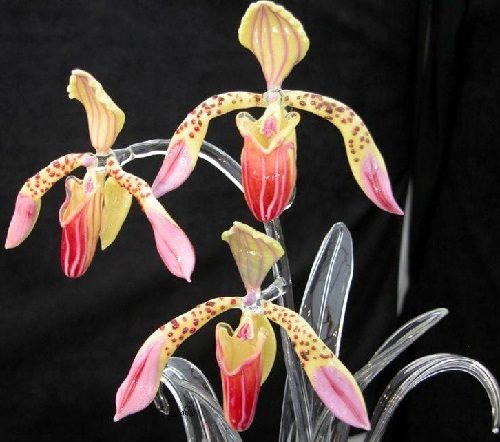 According to Hughes, there are no molds, specialized tools, glue, or paints used. 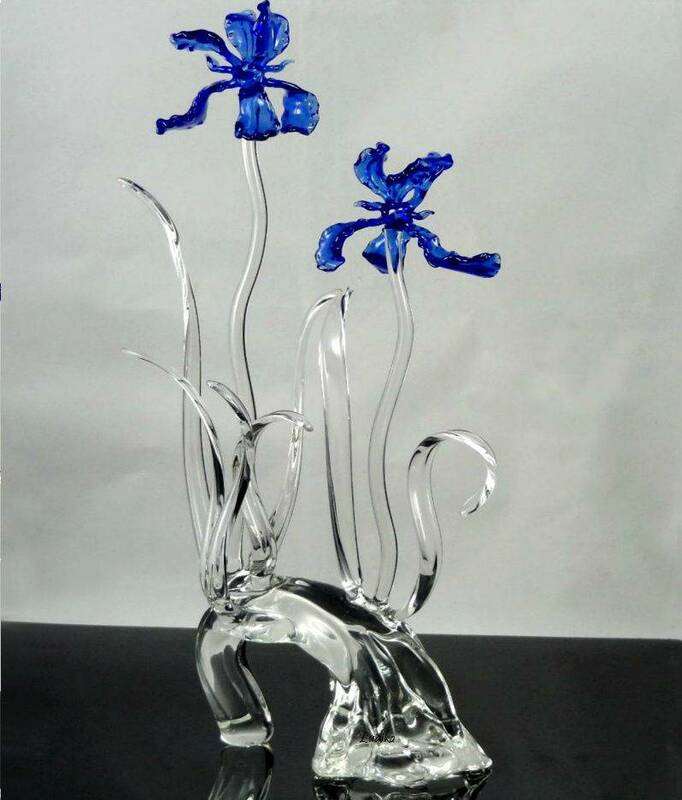 After completion, each piece is annealed at 1040 degrees Fahrenheit in a kiln, then cooled gradually back to room temperature. 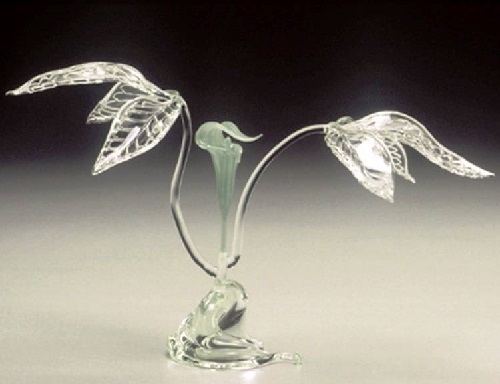 This process removes all thermal stress from the piece, making the glass as strong as it was originally. 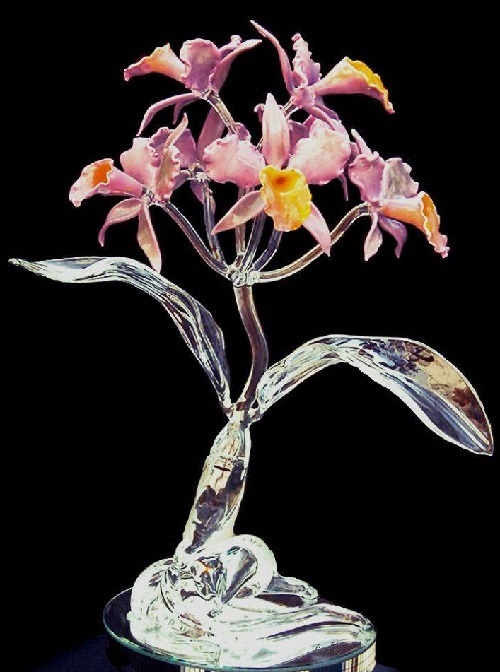 All pieces are then examined under a polariscope which ensures that the sculpture has been properly annealed before presenting it to the public. 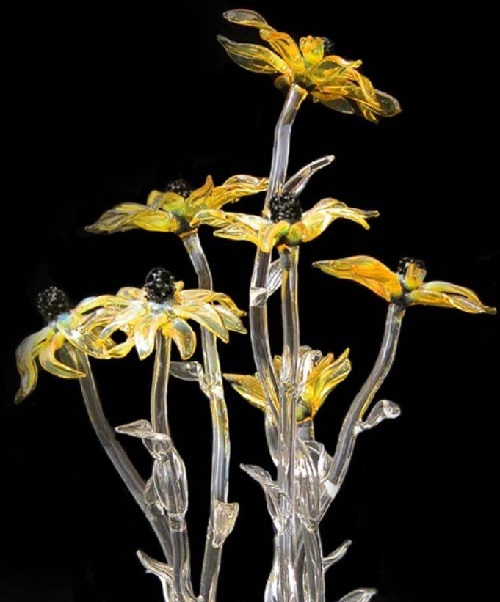 If necessary, his glass can be flame repaired if broken, which means his sculptures will retain their value afterwards. 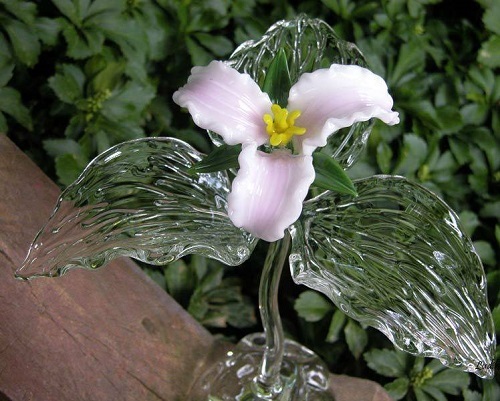 This is impossible with soft glass.